Do you know your lenses? Different lenses show you different things. 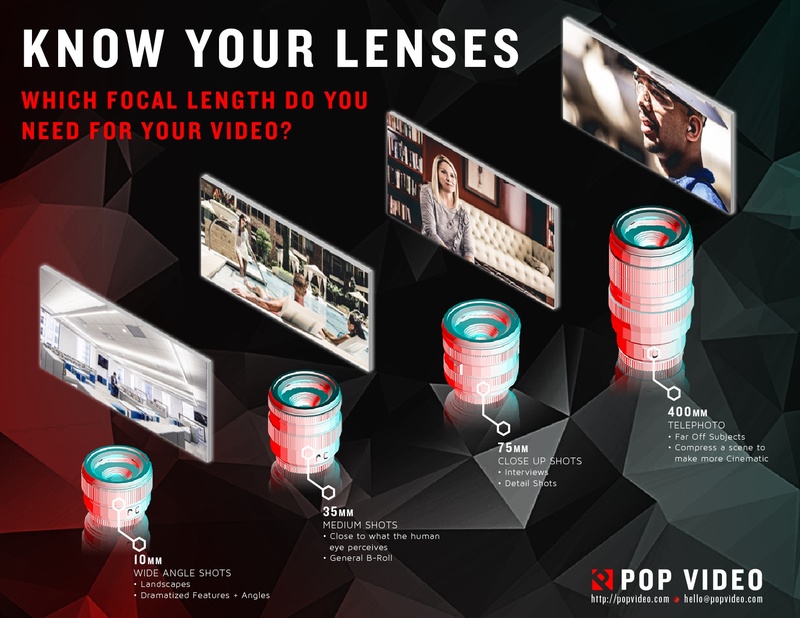 Selecting the right focal length is essential to composing the perfect shot for your video. Lucky for you, we know a thing or two about which lens you'll need. Check out the infographic!